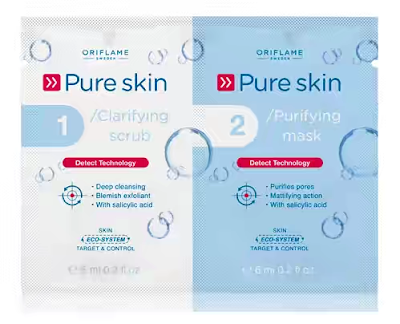 So, I've been using this Oriflame pure skin product for a while now and trust me, it is absolutely good and so, I thought I should share it with you guys. It is in two steps, the first is clarifying scrub and the second step is the purifying mask which is my favourite part. It has a mattifying action and I usually carry it about 5mins before finally washing it off according to the instructions(though sometimes I don't follow the instructions lol). What are your favourite masks and scrubs guys? You could share some of your beauty secrets with me on the comments below.